Oh my goodness you guys, am I happy this week is just about over! It feels like its been the longest week, full of doing HW and preparing for my accounting final (which I was literally so worried about)! Thankfully I made an A! Next week I have a few other assignments to finish up and I'll be all done for 4 weeks before my summer class starts! This semester has gone by so fast! I am glad its just about over though! Anyway, I found this dress at Nordstrom Rack a few weeks back and it has been a great traditional dress! 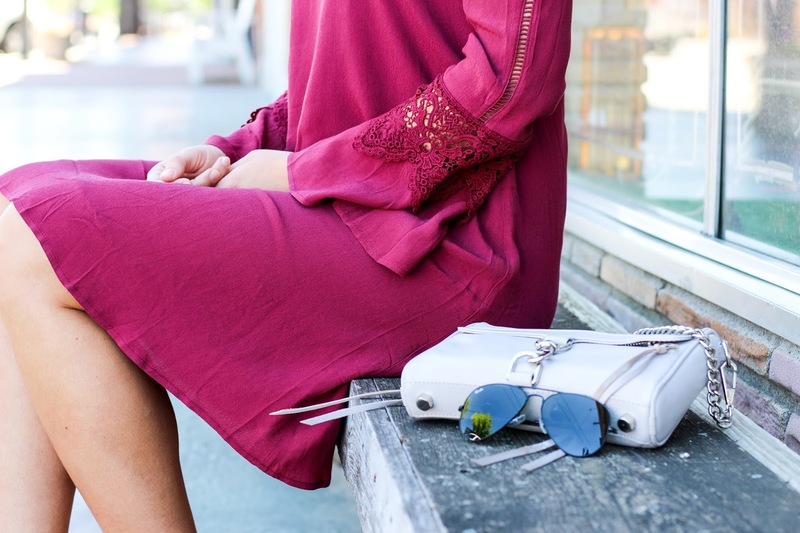 I really like the cute lace detail on the sleeve! 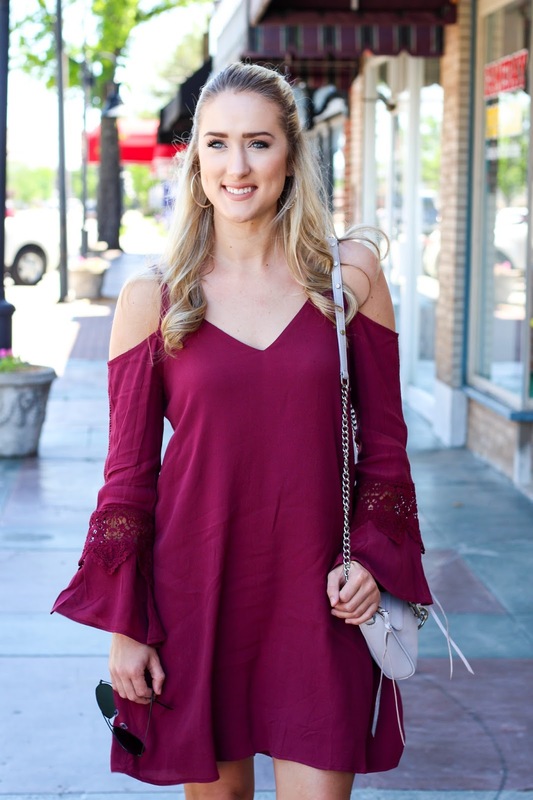 Sadly, it is sold out but I have linked some other cold shoulder dresses that are super cute!